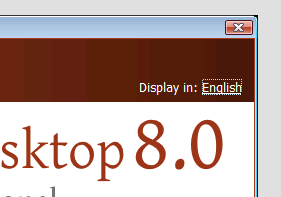 In the last week, I've spent a fair bit of time tidying up the installer. There were a number of issues I had to resolve, such as problems upgrading when the user's admin status had been removed in between the original install and the upgrade … yep, we've had to deal with this. I also removed a lot of legacy code supporting Windows 95, 98 and Me: the setup installer for Keyman Desktop 7 needed to support these operating systems, as we still supported them when we released version 7.0. It was a nice feeling removing that code! Much of the work over the last week was under the hood and won't be visible to you as an end user, but I have also made what I think is a significant improvement to the installation user experience. Similarly, the End User License Agreement (do you read all the EULAs you are presented with?) is now printable and easier to read but less intrusive. The agreement itself hasn't changed! Behind the scenes, Keyman Desktop still uses a Windows Installer .msi package to install, so it can be deployed on networks just as simply as before. However, for the typical end user, I'm hoping these modifications will make it much simpler to understand the installation process. 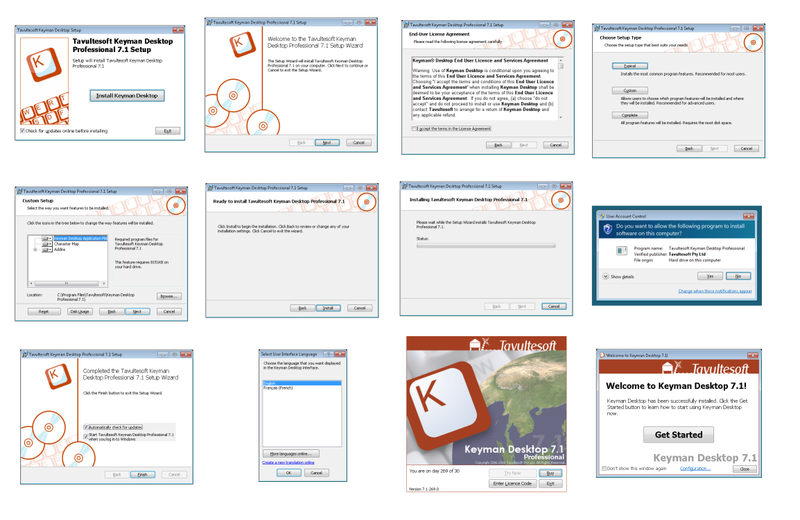 Keyman 8 automatically removes the Keyman 7 installation when it runs. 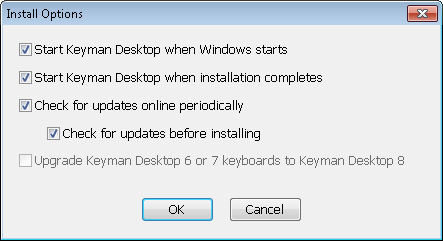 You cannot install both Keyman 7 and Keyman 8 on the same computer at the same time. 1) when building a keyboard package, is it possible to control the default locale? 2) Is it possible to localise the installation screens (assuming the default language isn’t English)? 1. It is not currently supported to automatically change the user locale when installing a keyboard package into an existing installation of Keyman Desktop but it would be possible to do this in a standalone installer by specifying a registry key for the desired locale. It appears that this new version isn’t working in Trillian? Will it support stuff like that, Windows Live Messenger etc.? It should, right? Dan, did version 7 work with Trillian? 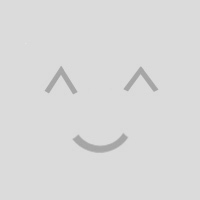 I have not tested Keyman 8 with Trillian but I have with Windows Live Messenger and Skype and no problems there. I like the language switch function to choose different language fonts. Great job.